Fog caused cruise ship delays at Tampa for the second time this week. The port closed until conditions improve. 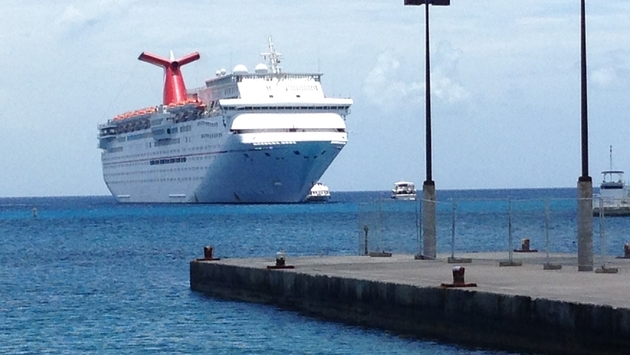 Carnival Paradise is unable to dock and conclude her current 5-day trip. Embarkation for the next sailing was pushed back by a day. Ship's January 23 voyage began late due to fog and ends late for the same reason. According to a statement from Carnival Cruise Line, the 4-night January 28 trip with a scheduled call at Cozumel, Mexico will be shortened to a 3-night cruise to nowhere. Passengers choosing the modified itinerary receive a 50% refund and a 50% discount on a future sailing. Tampa's Terminal 3, where Paradise is schedule to dock, is occupied by AIDAvita, a ship sailing for German Carnival Corporation-owned line AIDA Cruises. The vessel was moored there on Wednesday when the port shut down.